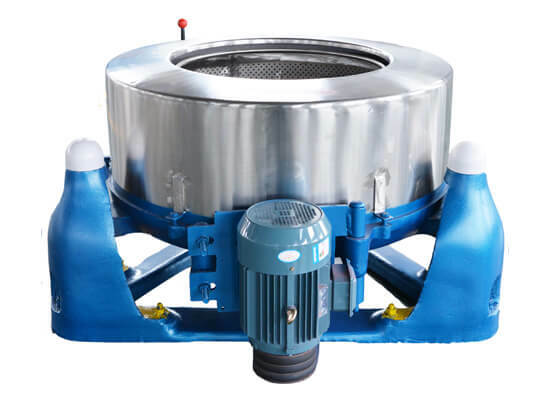 The centrifugal hydro extractor is a kind of machine employing centrifugal way to remove the surface water of foodstuff by the high-speed rotation. The centrifugal hydro extractor is widely used for dewatering the surface water of washed fruit, vegetable, food as well as clothes, etc. So this machine is popular in the food processing industry, hotel, restaurant, hospital, shower room, etc. 1. 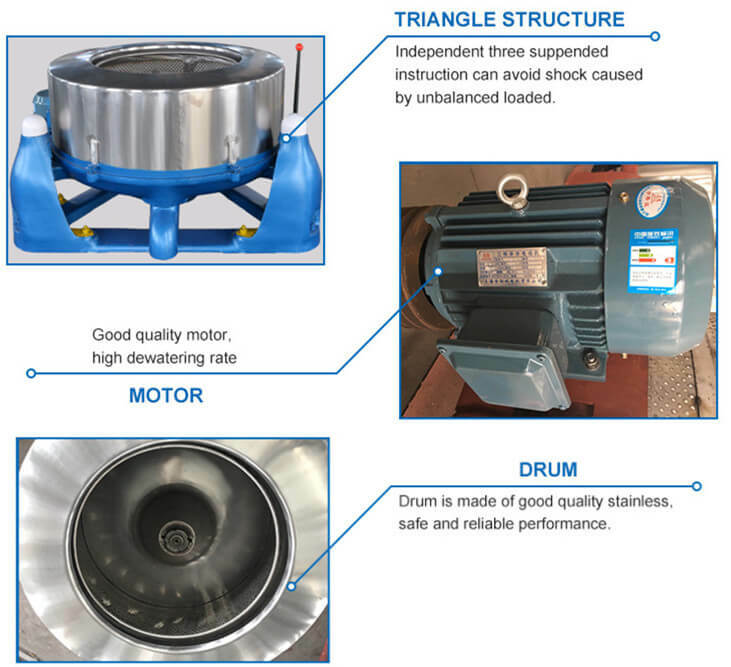 The dewatering machine adopts horizontal rotary pendulum structure with three supporting points, double shock-reduction with full suspension plus ring design which can avoid the shock caused by unbalanced loading. 2. Large capacity, high dewatering rate, and low noise. 3. The little shock, easy operation, smooth brake and reliable performance. 4. The inner and outer barrel are both made of stainless steel. 1. The operator should know the machine structure, performance and operation well. 2. The foodstuff should be placed evenly and smoothly into the working chamber with no overload to avoid excessive vibration. 3. Any other stuff should not be placed on the top of the machine to avoid accidents. 4. The power should be cut off immediately when the abnormal phenomenon occurring. 5. The machine should have a preventive overhaul to ensure a long service with high quality.